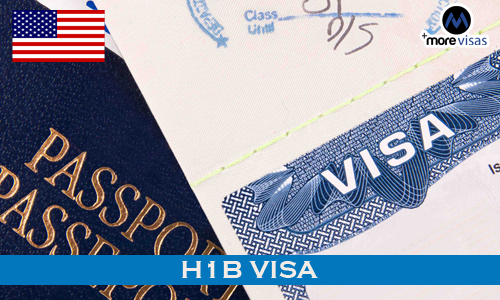 The US will begin to accept the petitions for the most popular H-1B visas for the FY 2017 from the start of next month. H-1B visa is largely popular among Indians and it is used by the US firms to recruit overseas employees in the occupations that needs highly specialized knowledge in many fields like engineering, computer programming, science etc. The US has made no changes to its limit of 65,000 on H-1B visas for the year 2017, which will start from 1st October. The initial 20,000 H-1B petitions that are filed for the people with US Master degree or higher degree are exempted from this 65,000 limit. The USCIS receives an excess of petitions every year and the assigned limit gets filled in just few days. The department also monitors the total number of petitions that they receive and they also inform when the H-1B limit has been met. And if the department gets more petitions than the assigned in few days it would make use of the computer generated system of lottery for randomly selecting the petitions that are need to meet the limit. The H-1B petitioners might also request the premium processing along with the H-1B petition. The USCIS has temporarily adjusted its present practice of premium processing based on the receipt levels of historic premium processing and it is the possibility there that the H-1B limit would met in few day of filing season. To prioritize the information entry for limit subject H-1B petitions, the USCIS would start the premium processing for the H-1B limit subject petitions requesting for premium processing before 16th May 2016.